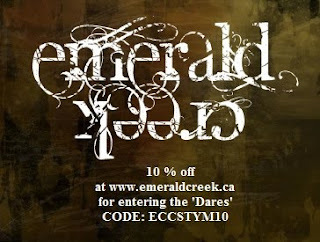 Emerald Creek Dares: Celebrating New DT to bring the Anniversary Heat! Huge congratulations to Sara Emily and what a fabulous first DT piece you have made! Congratulations too, to Jessica, love what you did with the skull! Congratulations ladies! I always love the inspiration the DT members provide. Thank you all!! Huge congratulations to Sara Emily and to Jessica, too! 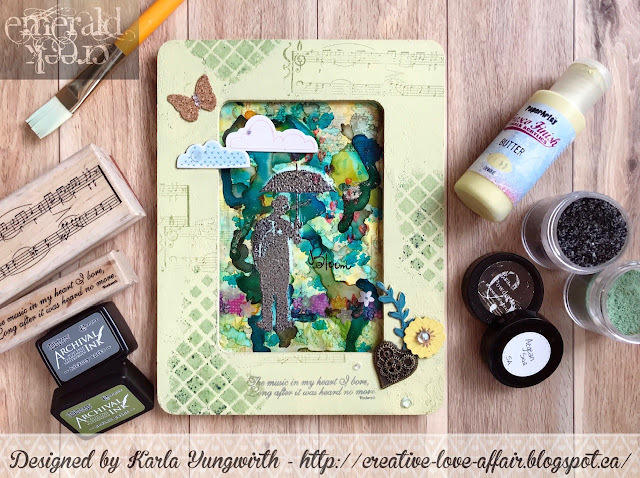 What a fantastic textured design with awesome colors and fabulous techniques, Sara! It's brilliant! Jessica, I love your genius idea to add that skull for the face! It's such a super cool dark project! Thank you, ladies, for these wonderful supportive words! They fill me with joy! Thank you to Kim for this warm welcome to this talented team! Welcome to Jessica--your creative work with the skull charm tickles me pink! It's so funny that we used the same powders and stamps and got two incredibly different looks! I'm off for a closer look at your card! Hugs! Congratulations to Sarah Emily and Jessica!! Great new additions to your team- I am a fan of both!